We are a high line detailing and customization studio serving greater Cleveland, Ohio and beyond. 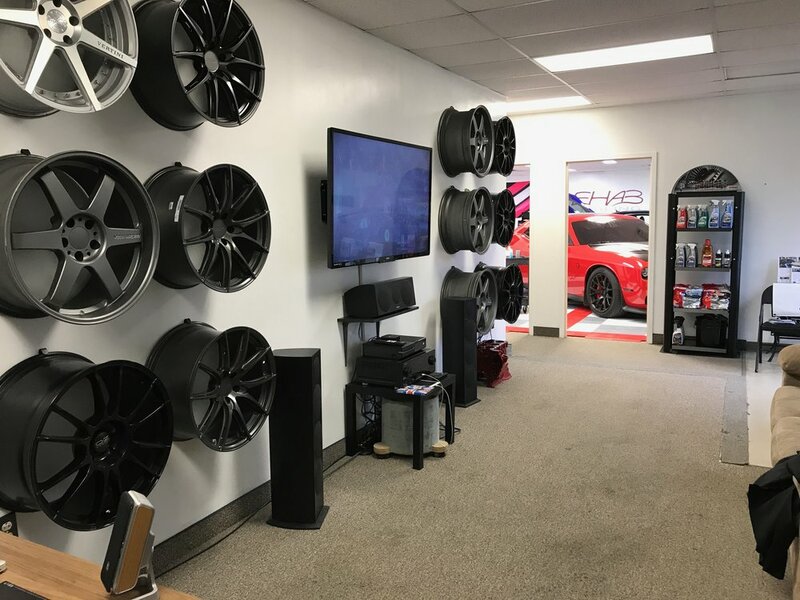 Our studio and showroom is located in Bedford Heights, only a couple of minutes from the Bedford Auto Mile and directly at the I-271 / I-480 / Rockside Road Interchange. Whether you need our meticulous detailing services for your daily driver, classic car or a collection of exotics, your vehicle’s appearance is our highest priority and we are extremely passionate about it. Like a perfectly tailored suit, we want to bring your vehicle's paint to it's highest potential and protect it with the most resilient products available on the market. Our specialization in automotive appearance doesn't stop at detailing. We offer paint protection film as well as window, headlight and taillight tinting. We offer everything from custom vinyl accents to full color change vinyl wrapping. We are able to install custom body parts, wide body kits and Carbon Fiber body panels and accessories. We are also able to install high performance coil-over suspension and air-ride suspension to get your ride looking and handling just right. We are also a dealer for high end exhaust systems to get your car sounding as mean as it looks! We pride ourselves on our comprehensive client services. We have options for pick-up and delivery of your vehicle and we can arrange mobile work as well. We have several options for detailing maintenance packages that can be tailored to fit your specific needs. Even if you are a DIY'er, we have products and advice to assist you in maintaining your vehicle's newly perfected appearance. At Rehab Detailing we employ only the very best products, techniques, equipment and customer service to safely and completely bring your vehicle's finish to it’s absolute highest potential... and we guarantee it! Give us a call to schedule your appointment or to discuss the various options to best care for your vehicle. Ross has over been customizing and detailing cars and bikes since before he could drive. He studied electronics as he served in the US Navy. 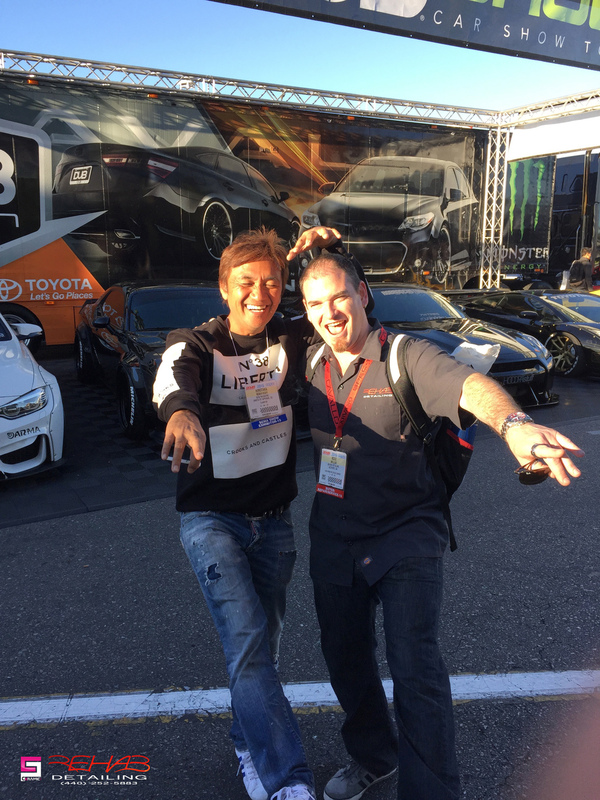 Wanting to be more artistic and creative, he used his experiences and started building high-end automotive sound systems. This lead to his proficiency in fiberglass, woodworking, metalworking and electronics. He began his first custom shop, S&L Customs, in 2009 where he designed and built several SEMA award-winning custom vehicles. Rehab Detailing was founded in 2013 out of a natural progression of customizing cars. 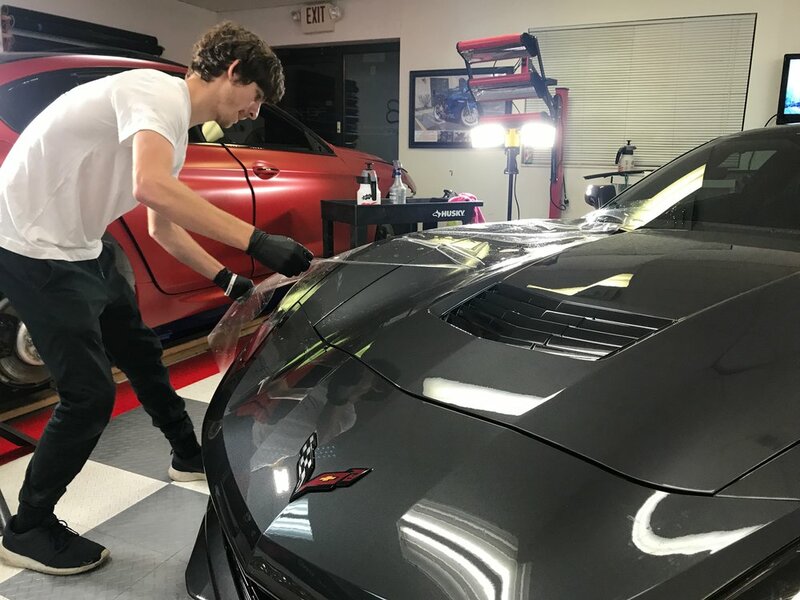 Rehab Detailing has become a leader in the industry for high-line detailing and custom work due to Ross' experience using the most current techniques, equipment and detailing products available as well as his unrelenting attention to detail. 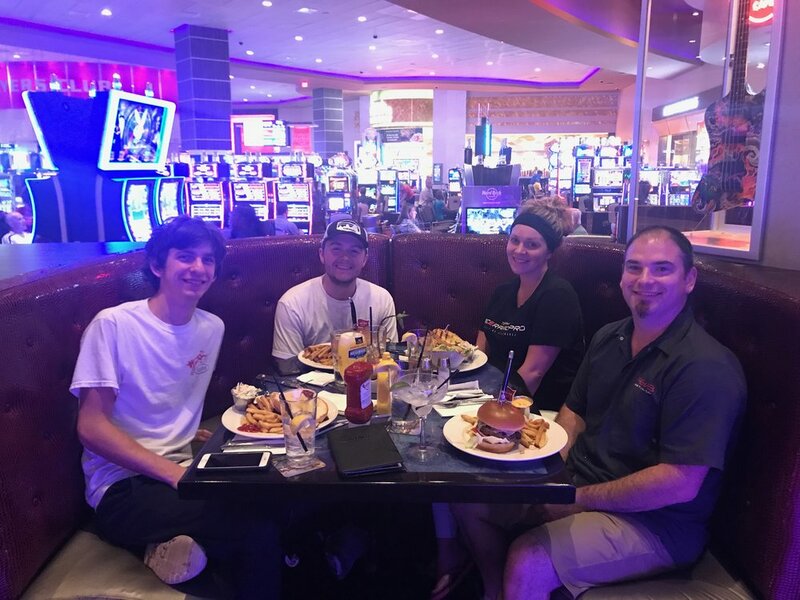 Make sure to check our some of the other businesses that have sprouted off of Rehab Detailing such as Cleveland Custom Wheels, Luxury Home Coatings, Euro By Design and Detox Garage. 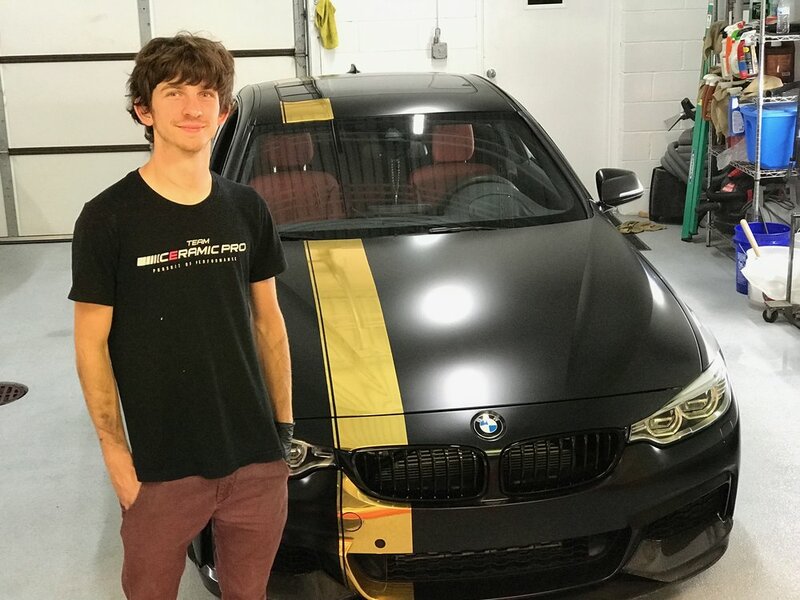 Matt has been wrapping cars for over 3 years. Rehab Detailing's first full color change vinyl wrapped car was Matt's E46 BMW! After that, he started practicing on his own and a couple years later, he is the lead wrap technician here at Rehab! With over 20 full color change wraps to his credit, and even more custom projects, Matt has become extremely efficient in all types of vinyl wrap including matte, gloss, satin, chrome and even textured.